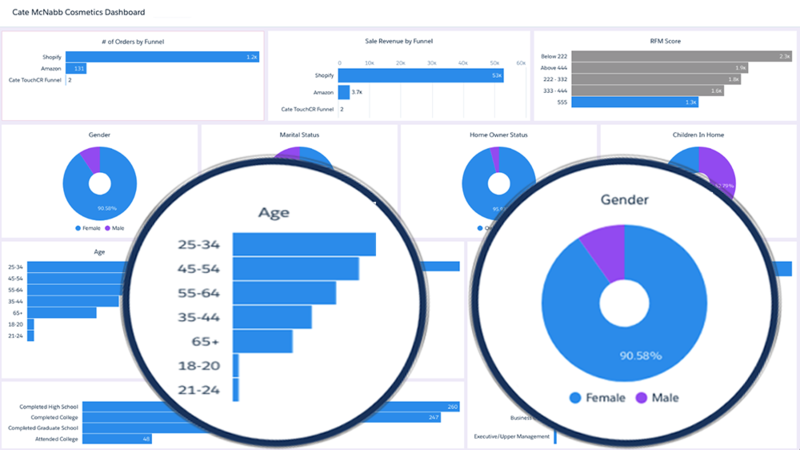 TouchCR appended fields can be used to improve your Facebook Advertising audiences by matching across fields to Facebook audience builder options, such as gender, income, profession, education levels. Also, TouchCR allows for easy report exporting of high lifetime value customer reports for new LTV audience builder in Facebook. Strategic targeting can improve engagement with your advertising in order to reach your desired ROI.